Before we had our toddler son, I used to make a lot of homemade pantry staples. Yogurt? Check. Bread? Check. Nut butter? Check. These days, though, because time is tight, many of our homemade staples have been replaced with good store-bought versions. But I’m still making my nut and seed butter! It’s so quick and simple—and I like that you can control exactly what’s in it. This recipe is specifically for sunflower seed butter, which is perfect for allergy-prone kiddos and their friends. If you’ve never made nut or seed butter at home, don’t worry. It’s really easy and there is very little hands-on time: Going from seed to velvety butter takes about 7 to 8 minutes total. Toast the seeds first. This deepens the flavor and the natural oils are released as the seeds are toasting, which allows you to make this spread with very little additional oil. Then process in a food processor. The mixture will go through a number of stages. First, your seeds will be blitzed into a fine powder, and then turn into a clumpy powder. As you continue to process, the mixture will transform into a ball and become a thick spread. Finally, it will turn into a smooth, loose seed butter. 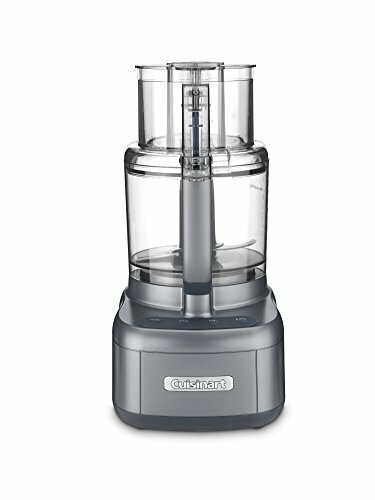 Everyone’s food processor is different, so yours may work a little faster or slower. Just use the visual cues in the recipe below and trust your seed butter instincts! Just a side note: You can actually make this recipe without any added oil at all. I just happen to love the subtle sweetness of coconut oil, so I add it more for flavor rather than to help with the texture. Feeling extra-ambitious?! Grow and harvest your own sunflower seeds! Here’s how. For flavoring and sweetening the sunflower seed butter, I like to add a pinch of cinnamon, some coconut oil, some vanilla extract, and a little brown sugar at the very end. Coconut sugar would be great, too. I tend to be conservative, so if you like your butter a bit sweet, add additional sugar, one teaspoon at a time. Taste in between each addition until it’s where you’d like it. In the past, I’ve used liquid sweeteners like maple syrup, but because nuts and seeds have a great deal of natural oil, adding additional water-based liquid to your seed butter can cause it to seize up, so I play it safe these days and use dry sweeteners. Why? In short, the oils gather together and separate from the water, making your nut or seed butter clumpy and difficult to spread. For a chocolate version, add 1 1/2 tablespoons cocoa powder to the food processor at the very end and process until smooth. If the seed butter is thicker than you’d like, add 1 teaspoon of additional melted coconut oil to loosen it up. As for what to do with your sunflower butter? I love to spread it on toast or pancakes. It’s a great kiddo (or adult!) sandwich filling. It’s also delicious mixed into the batter, substituted 1 for 1 for peanut butter, in baked goods such as cookies and brownies. I usually keep mine at room temperature if I know we’ll use it within 2 weeks. Otherwise, I’ll plunk it in the refrigerator, where it’s fine for up to 6 weeks. Try Sunflower Butter in These Recipes! 1 Toast the seeds: Preheat the oven to 350°F and spread the sunflower seeds on a large, rimmed baking sheet. Toast the seeds until they’re lightly golden and begin to smell nutty and fragrant, 10 to 12 minutes. Watch and stir the seeds every 5 minutes or so to prevent burning. 2 Process seeds into powder: Once the seeds are toasted, transfer them to the bowl of a food processor and process on continuously until they form a fine powder, about 30 seconds. 3 Process until clumpy: Continue processing until the powder becomes clumpy, an additional 30 seconds to 1 minute. 4 Process until mixture forms a ball: Continue processing mixture for 2 to 3 additional minutes, or until it starts gathering together into a large clump or ball. If your machine starts getting hot, simply pause the process for a minute or so to let it cool down and proceed. 5 Continue to process until mixture forms a smooth butter: I know, I know: more time in the food processor. You’re almost there! Continue processing for an additional 2 minutes or so, until the seed butter reaches a smooth, paste-like consistency. 6 Sweeten and add flavorings: Now that the seed butter is smooth, add the salt, cinnamon, coconut oil and vanilla extract and process for an additional 1 to 2 minutes, or until it becomes super smooth and spoonable. 7 Storing your butter: Store in an airtight container on the counter for up to 2 weeks, in the refrigerator for up to 6 weeks, or in the freezer for up to 3 months. Hello! All photos and content are copyright protected. Please do not use our photos without prior written permission. If you wish to republish this recipe, please rewrite the recipe in your own unique words and link back to How to Make Creamy Sunflower Seed Butter on Simply Recipes. Thank you! Thanks for a great recipe. I love sunflower seed butter, but I’d like to try making a homemade version of the peanut butter as well. Can this recipe be used as a template? Thanks in advance! Hi, Jelena! Yes, you can definitely use this as a template for peanut butter. Enjoy! Could you make this a savory (rather than sweet) butter? What additions could be used? Onion or garlic powder? Chili powder? Seasoned salt? Dried herbs? Hi, Kaye! Emma here, managing editor. Yes, you can definitely go savory with this! Sunflower butter tastes a lot like peanut butter, but slightly earthier. I think that chili or seasoned salt would be pretty good! Basically, any seasoning that you like with peanut butter will work here. Add a little and taste as you go until you get the flavor you’re looking for.